20" Round High Pressure Laminate Designer Tea Table with Powder-Coated Aluminum Frame by Tropitone - 10 lbs. 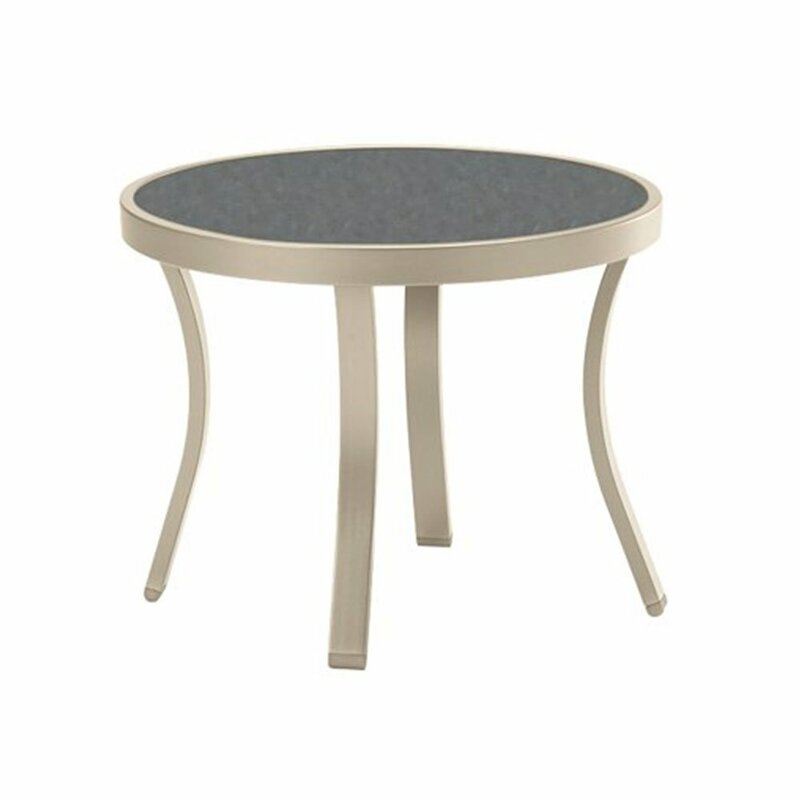 Our 20" round high-pressure laminate designer tea table with powder coated aluminum frame by tropitone will match any chaise lounge or chair at your location. 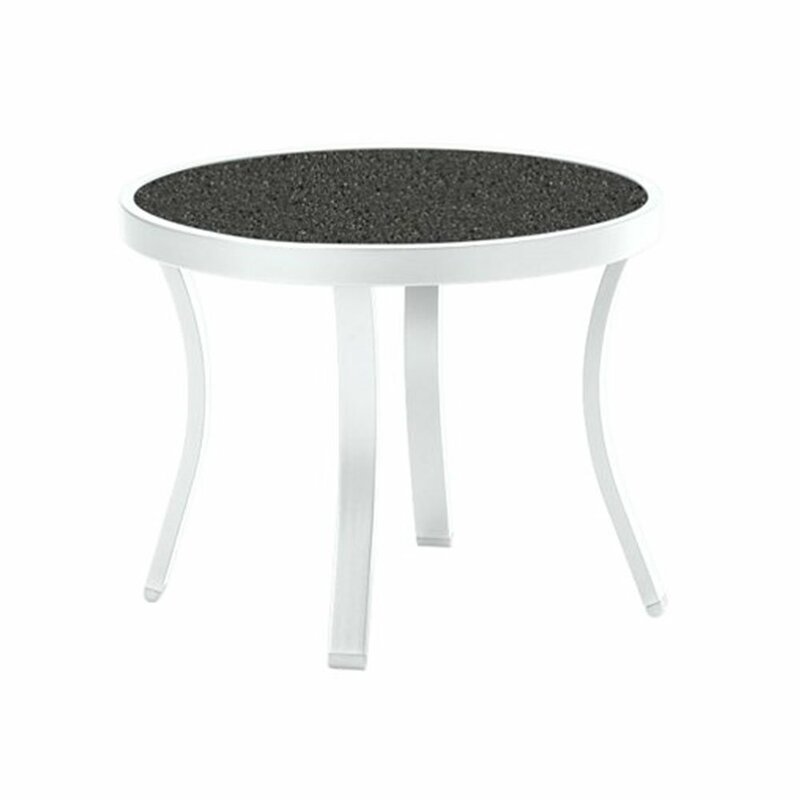 These elegant and durable side tables are made out of powder coated aluminum with a UV resistant high-pressure laminate solid phenolic resin core top. 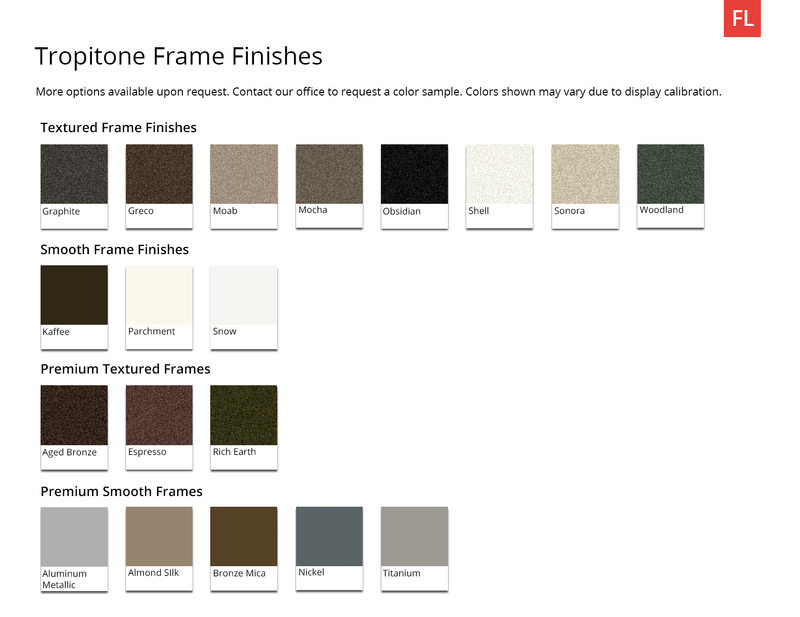 The high-pressure laminate top and powder-coated aluminum frame both are available in a variety of separate colors to help set the tone for your setting. 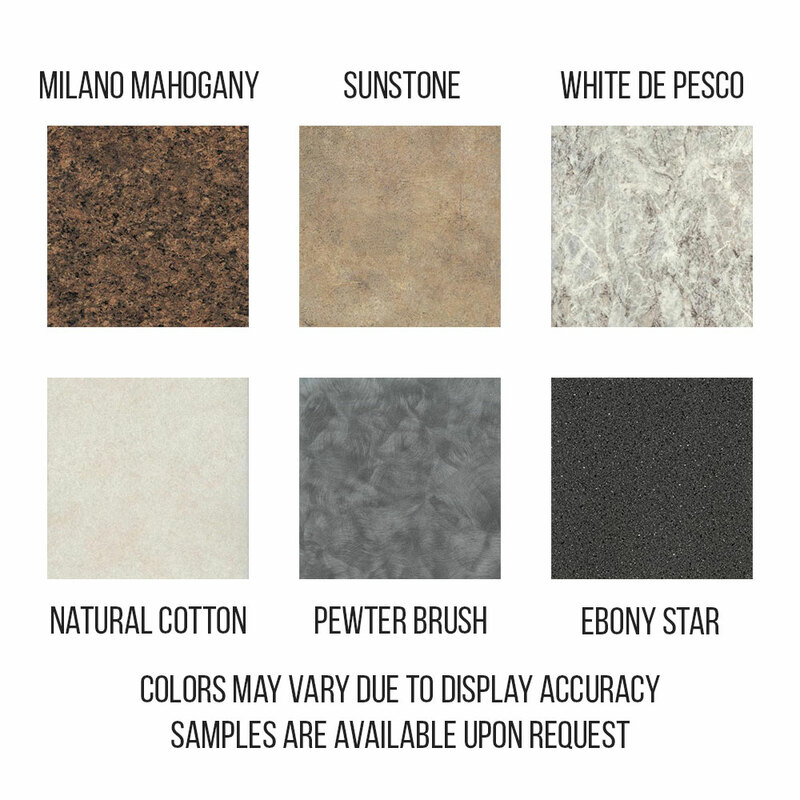 This comes with a limited 5-year commercial warranty and is made in the USA. 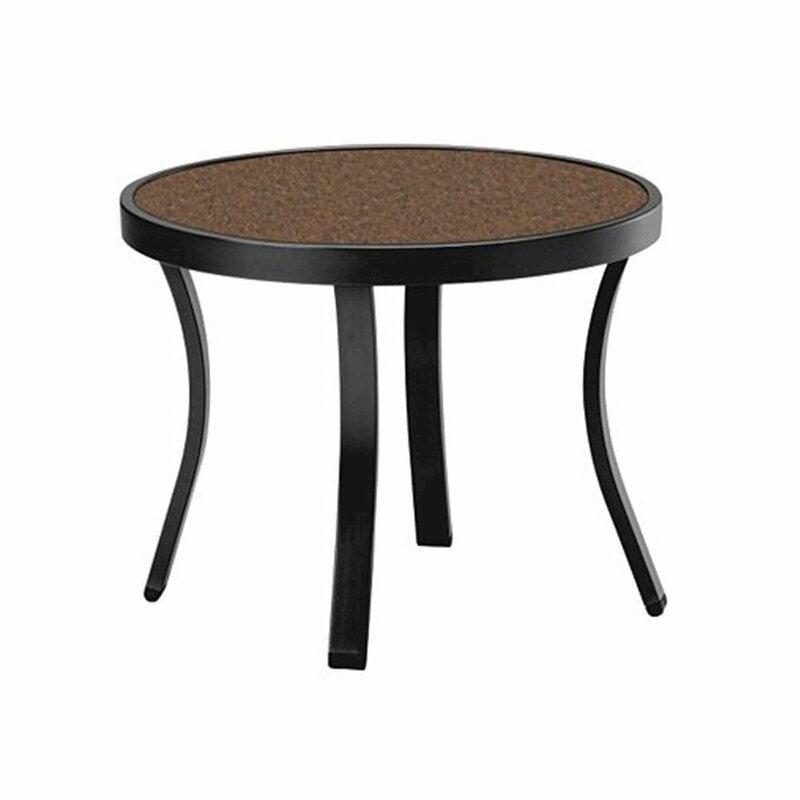 • 16" Height x 20" Diameter - 10 lbs. 36" La'Stratta Punched Aluminum Round Dining Table with Umbrella Hole by Tropitone - 28 lbs.